China’s Arctic Ambitions and What They Mean for Canada is an in-depth studies of China’s increasing interest in the Arctic. It offers a holistic approach to understanding Chinese motivations and the potential impacts of greater Chinese presence in the circumpolar region, exploring resource development, shipping, scientific research, governance, and security. 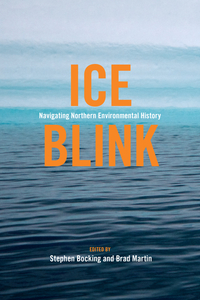 Drawing on extensive research in Chinese government documentation, business and media reports, and current academic literature, this timely volume eschews the traditional assumption that Chinese actions are unified and monolithic in their approach to Arctic affairs. Instead, it offers a careful analysis of the different, and often competing, interests and priorities of Chinese government and industry. Analyzing Chinese interests and activities from a Canadian perspective, the book provides an unparalleled point of reference to discuss the implications for the Canadian and broader circumpolar North. P. Whitney Lackenbauer is a professor of History at St. Jerome's University (University of Waterloo) who specializes in Arctic sovereignty and security issues, Aboriginal-state relations, circumpolar history, and modern Canadian military, diplomatic and political history. 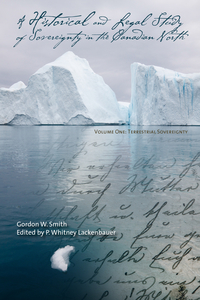 He is the editor of the multi-award-winning A Historical and Legal Study of Sovereignty in the Canadian North (UCalgary Press). Adam Lajeunesse is the Irving Shipbuilding Chair in Arctic Marine Security Policy at St. Francis Xavier University. He is a Research Associate at the Centre for Military, Strategic, and Security Studies and the Arctic Institute of North America at the University of Calgary, and a fellow with the Centre on Foreign Policy and Federalism at the University of Waterloo. Dr. Lajeunesse is a regular lecturer at the NATO Defence College (Rome) and the Canadian Forces College (Toronto), as well as a frequent speaker on northern security issues for academic, government, and military audiences. He is the author of Lock, Stock and Icebergs (UBC Press) - a history of Canada's Arctic maritime sovereignty. Frédéric Lasserre is a professor of Geography at Laval University, Directeur du Centre Québécois d'Études géopolitiques and a research associate at Groupe d'études et de recherche sur l'Asie contemporaine. James Manicom is a Research Fellow at the Centre for International Governance Innovation. He is the author of Bridging Troubled Waters: China, Japan and Maritime Order in the East China Sea (Georgetown University Press).